Holiday Book Sale - Joyful Toddlers! 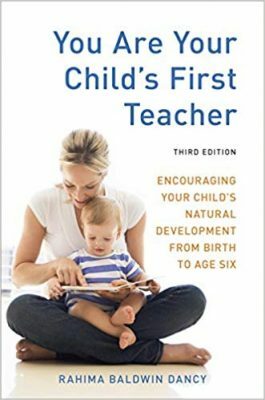 Many of my readers don’t know that my mom is none other than Rahima Baldwin Dancy, author of the classic early childhood book You Are Your Child’s First Teacher. Up till now I’ve kept it mostly on the down-low, but now I’m letting the cat out of the bag! So…if you’ve read her book, then you automatically know lots of stories about my childhood. Yes…I really used to climb trees with my knitting and sometimes would get stuck…yes, it’s all true! The reason I’m sharing is that we were chatting the other day and she was lamenting how there were no easy places for small school stores to buy her books for re-sale anymore, and we decided that we should team up and offer both of our books together at slashed rates. The original idea was for it to be aimed at schools and book clubs, but with a minimum of only 5 books to get a discount, you could gather a few friends and order, or get them for grandparents and new families this holiday season (hint, hint). 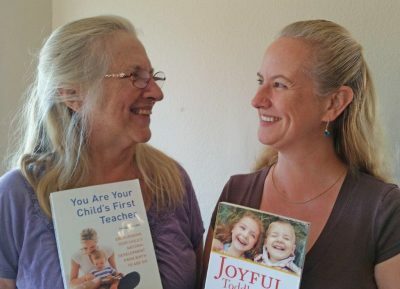 List price is $21.95 for Joyful Toddlers & Preschoolers, and $17.95 for First Teacher. Buy 10 or more books (mix and match): 40% discount! S&H: add $1 per book. Want to take advantage of this sale? 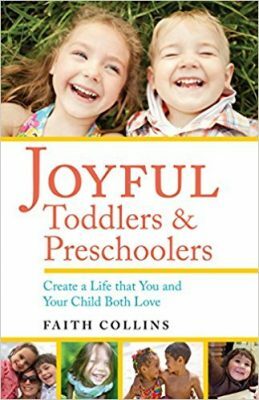 Email me at faith@joyfultoddlers.com with the words BOOK ORDER in the subject line. Tell me how many you want and I’ll send you an invoice with a link to pay (or you can pay by check, money order…pretty much however you want). Then I’ll mail the books to you. Easy-peasy. That’s it! Please share our books with the people you know who would love them. Or read them yourselves if you haven’t yet. And as always, if you have already read my book, please Please PLEASE post a review on Amazon. You don’t have to have purchased through Amazon. You don’t have to write a novel…just a sentence or two will do! Here’s the link to post a review: just CLICK HERE, then scroll down and click “write a customer review.” And…thank you. You, my blog readers, are the ones who are going to help the general public know about my book. Otherwise, it will be only a flash in the pan.